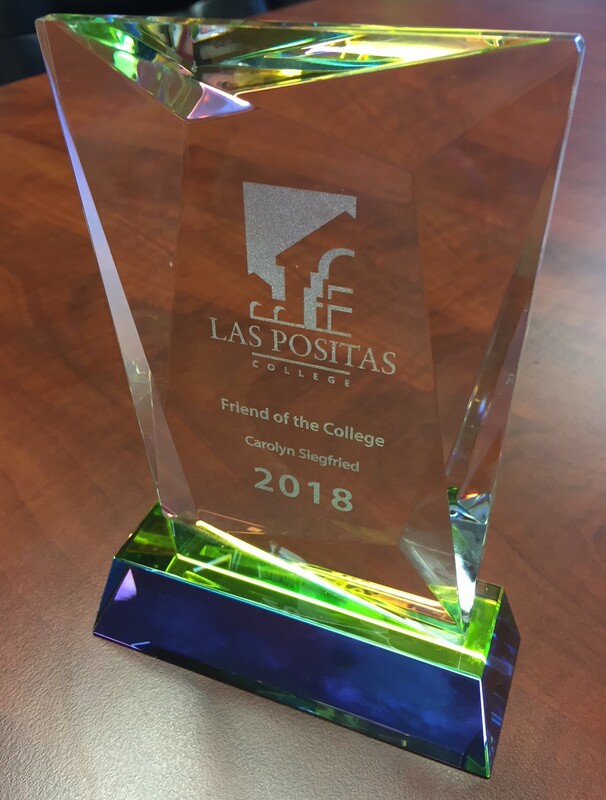 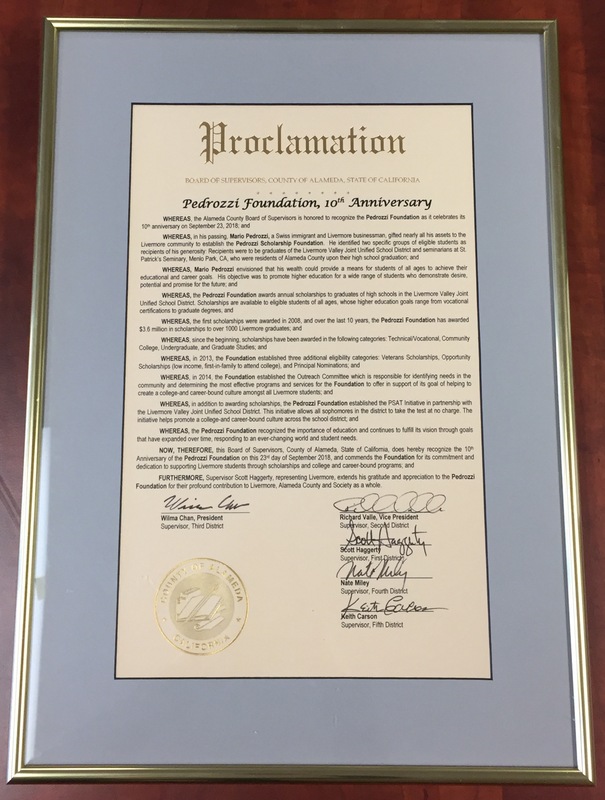 On May 26th, during the 2018 Las Positas College Commencement Program, Roanna Bennie, Interim President of Las Positas College, representing the Academic Leadership and Trustees of Las Positas College, presented to Carolyn Siegfried, Pedrozzi Scholarship Foundation, Executive Director, the 2018 Las Positas College Friend of the College Award. 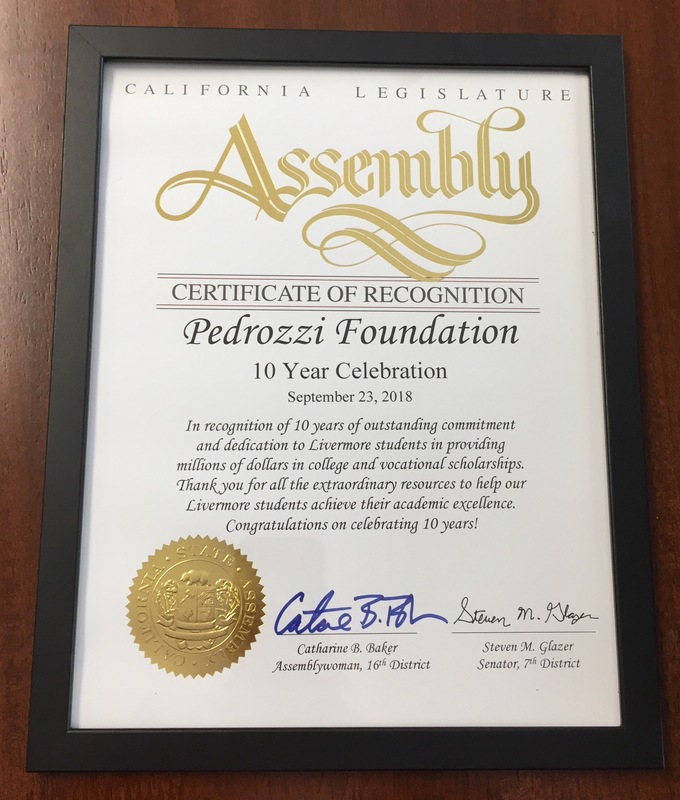 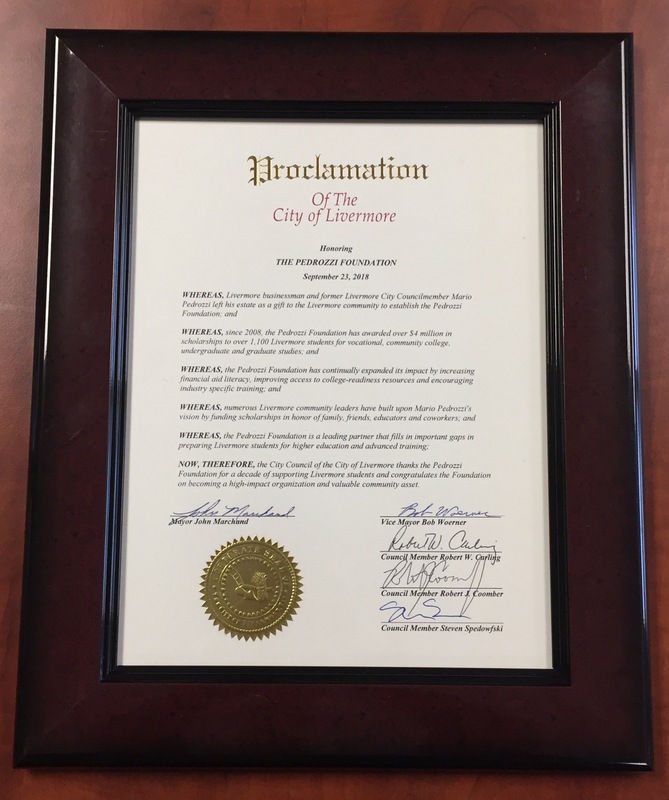 In her presentation remarks, Ms. Bennie noted that Carolyn Siegfried is receiving this honor based on her years of advocacy and engagement connecting students and parents to a broad spectrum of resources and opportunities. 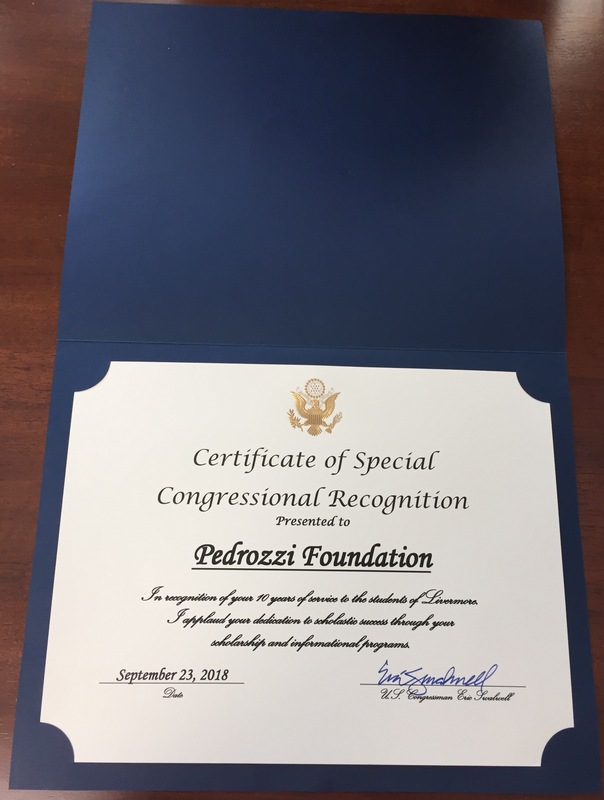 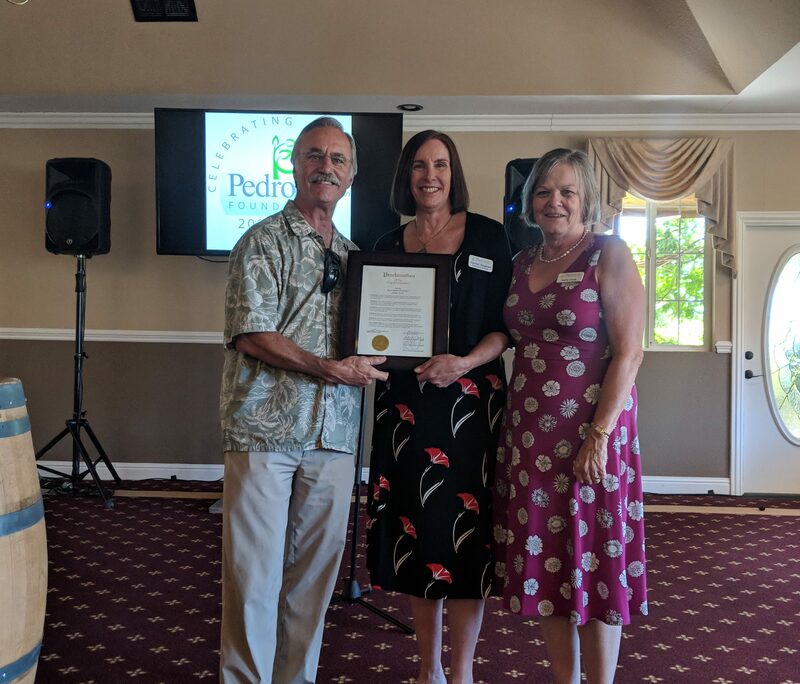 The LPC award is also recognition of Ms. Siegfried’s leadership and her ability to build innovative and enduring partnerships throughout our community. Following the presentation of the 2018 Las Positas College Friend of the College Award, Ms. Siegfried addressed the Class of 2018 – acknowledging their achievements and encouraging students to remain actively connected with friends and faculty as they move forward into the future.